Join the fine folks at Amaris Art Show and Wine Tasting Soiree for an amazing evening featuring artwork from local artists, wine tasting with local vineyards, open bar, live music, passed hors d’ourves, amazing auction and raffle items as well as giveaway goodie bags and lots of fun at the Bunker Lofts at 1500 South Los Angeles Street from 6 to 10pm on August 22nd. All proceeds will benefit Claire’s Place Foundation and Miller Children’s & Women’s Hospital Long Beach. Both organizations are committed to providing care and services to children living with cystic fibrosis and other life threatening diseases. This year, they are excited to partner with the Victorious 22 Showroom. Victorious 22 is a local, couture apparel brand popular for their outfitting of the Sons of Anarchy cast as well as many other celebrities. 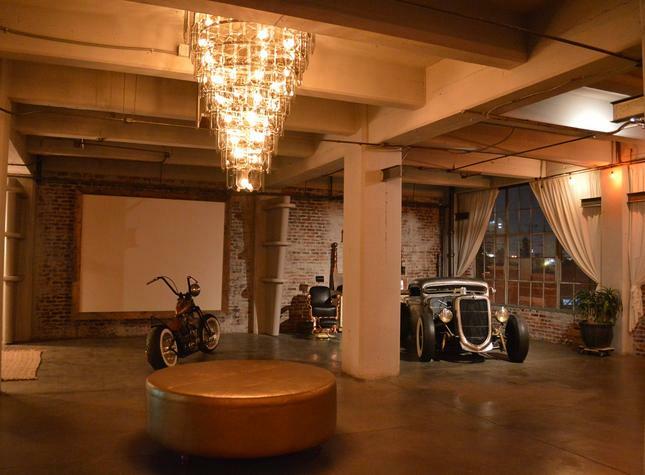 Their event will be held at their beautiful and elegant Bunker Loft in downtown LA Fashion District. This location boasts city skyline views,3500 sq ft of open warehouse space, incredible art work, collectible motorcycles and cars, private parking lot and a fully functional freight elevator. A perfect backdrop for our art and wine soiree! Live music by the amazing Nobresil! , Winner of the 2015 Jazz Ed Magazine Award as Best World Music album. They are lucky to have Peter Shahriari, better known as Peter the Persian, to warm the evening with laughter. 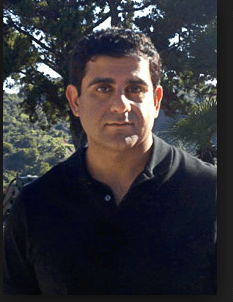 Peter Shahriari is one of the most established Iranian comedians in America. Born in Tehran, he’s been performing around Los Angeles for over 10 years. Peter does innovative voices, character humor, and accents. 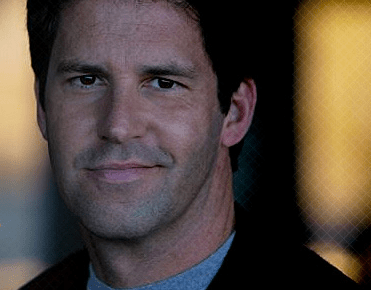 He is a regular at many Los Angeles comedy clubs and he is no stranger to improvisation and just getting on stage to do his thing. Peter has also hit the road or rather, the airport in recent years, having been invited to entertain audiences across the globe. He hosted the comedy variety series Zeus TV and has become a favorite of the Levantine Cultural Center’s satire/comedy series,The Sultans of Satire: Middle East Comic Relief. Patrick Ney, the California Wine Guy, a hilarious, friendly and fun Sommelier will be attending to enhance your tasting experience. He infuses his wine education with stand up comedy, and enjoys diversifying his wine selection. Patrick Ney will assist in showcasing their featured vineyard Old Oak Cellars, a beautiful and eco conscious vineyard located in Pasadena, California. Old Oak Cellars started in 2003 as an attempt to diversify a family vineyard business, the eldest, Paul Overholt, decided it was time to form a winemaking company to specialize in making Bordeaux Style wines. In 2007, Paul decided to further his knowledge of the winemaking craft by completing the UC Davis Oenology and Viticulture Certification program and that set the wheels in motion for the project that eventually became Old Oak Cellars. As the scope of the Project grew, Paul asked Dave Lustig, who has an encyclopaedic mind in respect to winemaking, to join him as Co-Winemaker so that the business building and winemaking responsibilities could be shared. Old Oak Cellars was born in 2009. Old Oak wines begin with grapes from the Alexander Valley and a few other local valleys in Sonoma County, which is renowned for its Cabernet Sauvignon and Merlot grapes. Old Oak Cellars then processes and ferments their grapes up there, using the highest quality equipment and technology to produce award winning wines. Once fermentation has taken place, the white wines are filtered and bottled in the valley, while the young red wines are then transported down to our winery in Pasadena, where the real magic happens. At their winery in Pasadena, the young wine is then aged and blended to perfection, spending time in stainless steel tanks before heading into a mixture of French, European and American oak barrels. Our winemakers then spend time getting to know the flavor development of the wines, sometimes blending different varietals for flavor and intensity. Craft cocktails will be on hand by the unique and delicious Marani Vodka. The pristine Armenian Ararat Valley is home to Marani Vodka and the Eraskh Distillery which explains its unique honey texture and organic production. It is a region on the southern edge of the “vodka belt” which stretches from Scandinavia across Eastern Europe before dipping down through Russia and the former republics of the Soviet Union.Marani is made with only 100% late-harvest winter wheat and natural spring water found within the Ararat Valley. Master distillers carefully manage a triple distillation and twenty-five times filtration process until the vodka’s preferred clarity is revealed. It is the next step which distinguishes Marani: its proprietary aging method. While most vodkas go from distillation and filtration tanks straight to the bottle, Marani uses skim milk and honey during its confidential process to smoothen the vodka, imparting a remarkably rounded taste and aroma which has become the Marani signature. Seven Barrels Olive Oils and Aged Italian Balsamics, a family owned brand name whose company produces a line of gourmet quality naturally infused olive oils and aged Italian Balsamic vinegars will also attend our event and bring their lovely line of oils and aged italian balsamics. They currently have over 20 varieties of flavors ranging from a roster of white Balsamics ,including peach, prickly pear, and coconut flavors to our dark family of Balsamics headed by our well received 25 year aged traditional,together with an exciting chocolate variety among other flavors to expand the pallet even further. 20% of their proceeds will be donated back to our event so please consider purchasing their lovely products to make an even bigger impact on our fundraising efforts. The Shayla Foundation (Kshamica & Leila) were integral in executing and creating this epic and sparkling event and are happy to support both Claire’s Place Foundation and Miller Children’s Hospital. The Shayla Foundation is a non-profit foundation dedicated to serving infants and children who have been neglected or received inadequate medical attention and social support. The Shayla Foundation’s mission is based on the idea that no infant or child should go without the health care resources and social support needed for healthy development. The Shayla Foundation seeks to serve all loving families and children who remain under served and neglected, irrespective of ethnicity or religious background. The Shayla Foundation’s mission places special emphasis on focusing support, increasing awareness, and raising funds for research and medical care for those diseases that receive less attention amongst health care professionals and the wider public. We are looking forward to seeing you there! Thank you for your generous support of both the Claire’s Place Foundation and the Miller Children’s & Women’s Hospital Long Beach. Can’t make the event in person but still want to show your support? Please consider our sponsorship opportunities for the live music, photo booth or catering costs where you will be given honorable mention in our promotional materials and at the event. Email melissa@clairesplacefoundation.org with any questions and THANK YOU!